The ultimate place to learn ballet dancing would have to be from the main source itself, being The Australian Ballet at Southbank. The website is a pit stop with a wealth of information for anyone who wants to find out more about this particular art of dance before making the commitment in attending classes; regardless as to whether or not you wish to learn directly from this source or not. Great due diligence information. Inclues tips on becoming a good ballet dancer, and what it really takes through to surviving the audition process. Otherwise another great source (with that beautiful purple theme that suits ballet) would have to be the Melbourne School of Classical Dance at Fitzroy. More suited for young children focusing on the russian method of classical ballet in spacious surroundings. Just as great for children, and also catering for adults with short courses is The Dance Factory at Richmond where casual and drop in classes are also available, hence allowing for more flexibility due to life in general (at times) in tandem with uncertain work schedules. If you are a parent looking for a suitable ballet school for your child (this can be a bit of a lucky dip sometimes; where you feel like you have won the lottery with the right school for your child/children the first time round) then you need to go to Kidspot to find the right class based on style, schedule and of course the right location in Melbourne. 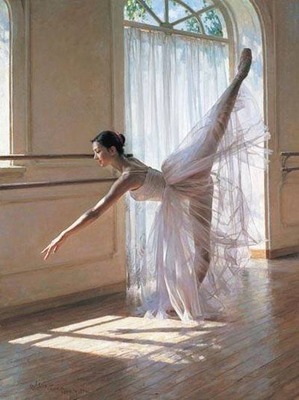 Small class sizes for ballet are generally preferable as well.